During today’s Active Time Report, Square Enix announced the first details of Final Fantasy XV PS4 Pro support. Apparently, the game will have a 4K mode (through the now popular checkerboard rendering technique) and run at 30FPS. There will also be a 1080P mode with unlocked frame rate that may vary between 45 and 60FPS, though the developers will keep working to get a constant 60FPS after launch. That’s about it for Final Fantasy XV PS4 Pro support for now, but we’ll probably hear a lot more about it shortly. Square Enix also announced that a new Judgement Disc demo will be available tomorrow, exclusively in Japan and based on the final build of the game. The demo contains about half of Chapter One, with 1-1:30 hours worth of gameplay, and it has several restricted areas compared to the full game. This demo can be played at certain game stores in Japan and will play “special footage” once it has been completed. Final Fantasy XV will be released in about twenty days from now after many years of development. You can take a look at the latest footage and screenshots from the final build, though these were captured on the original PlayStation 4. 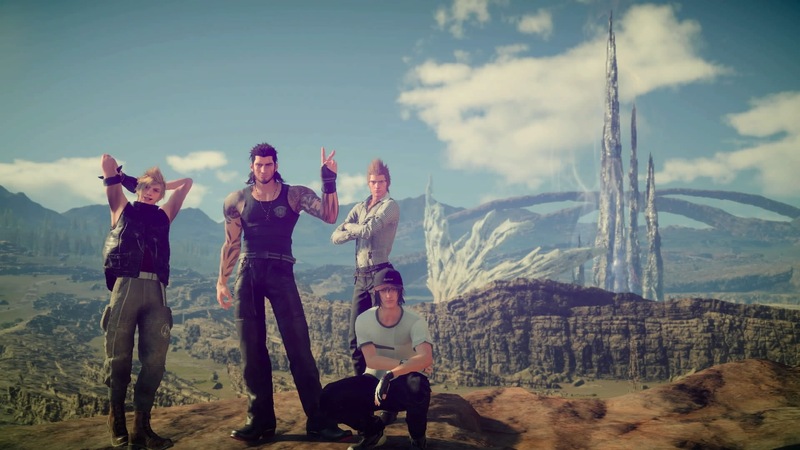 Just yesterday, Square Enix announced that it’s partnering with developer MZ to create a Final Fantasy XV based mobile MMO. If that’s not your thing, there’s a multiplayer DLC planned (after the character specific episodes) to let you play online with friends in FFXV proper. Final Fantasy XV will release on PlayStation 4 and Xbox One, though Game Director expressed interest in the upcoming Nintendo Switch console already and he also mentioned that the team is evaluating a possible PC version (which would be at least a year out, anyway). We’ll keep you updated if there are any news on these potential ports.